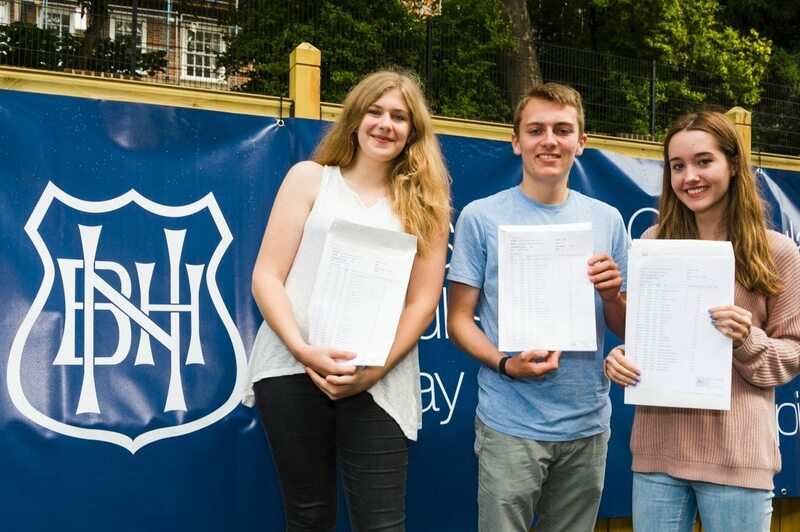 At North Bridge House Senior School, we are celebrating another year of excellent GCSE results, with 94% of our pupils having gained 5 or more A* to C grades. Including Maths and English, 91% of all students achieved 5 or more A* to C grades. Our results were particularly strong in the core subjects of English, Science and Mathematics, with 63% of pupils gaining an A* or A in Maths. Furthermore, all pupils who took Additional Mathematics achieved an A, the highest grade possible! Humanities faired equally as well, notable was the 64% of A* and A grades achieved in History. Our Senior School pupils also performed exceptionally well in the creative subjects, with over half of students taking Art, Drama, Photography and Textiles gaining A* or A grades. Among the successes were our Peer Mentoring Prefects, Katie Baxter and Bryony Gretton, and keen sea cadet Alex Smith. Katie achieved nine A*s which included German, Drama, History and Classics. Bryony achieved eight A*s and two As, including an A* in Mathematics after sitting the GCSE a year early, and now an A, the top grade, in Additional Maths. Fellow high achiever, Alex, gained seven A*s and three As. We are so pleased for all of our Year 11 pupils and look forward to welcoming them back for the awards evening later this year.